The tournament was held at HTC Neuss where there are only two pitches, both water based. Scotland GM (Over 60s) played in Pool B of the Grand Masters competition, against Belgium, Italy and England. There were play offs later in the week against teams from Pool A which included Germany, Netherlands and Wales, with matches to decide the medals on Friday 26 August. No points in the Pool matches led to a play off against Wales to decide the final placings. In spite of playing their best hockey of the tournament, Scotland went down 2-1 to finish seventh in the tournament. 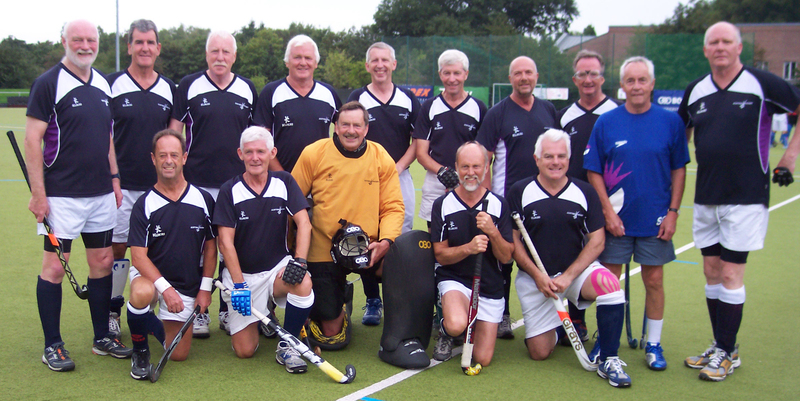 Scotland GGM (Over 65s) played in a round robin against England, Germany, Italy and Netherlands, with matches on the first four days of the tournament. League placings would decide the medals. A good performance against Germany in the opening match was not enough for victory, and their next opponents, England and Netherlands, were in a different league altogether. The Over 65s saved the best for last, beating Italy 4-1 to finish in fourth place. Peter Monaghan was the manager of both sides and Vikki Thompson was our physiotherapist. Brian Moore and Gerry Toner were our umpires, with Gerry's daughter Alison as a reserve umpire.